It seems the gemara does not believe in the Stockholm Syndrome, or at the very least does not believe it is strong enough to consider such actions to be coerced. I once heard a cute gematria from an uncle of mine to shed some light on this gemara. The gemara learns (acc to Rashi) that since the pasuk said אעשרנו instead of אעשר, we learn that the second מעשר is like the first. My uncle explains that the gematria of עשר is 570. The word אעשרנו is made up of the word aser and three more letters: א, נ, ו. The gematria of those three letters is 57, exactly 10% of 570. Perhaps this is what shows that the second מעשר is 10% of the original, not 10% of the remainder. 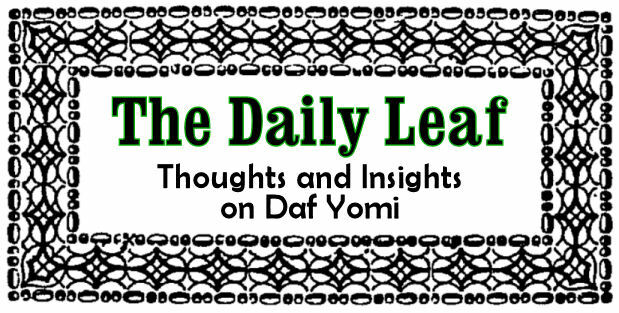 Throughout the daf, the gemara always uses the term ללין and רש"י consistently uses ללון instead. This is somewhat puzzling considering רש"י's own comment to בראשית כ"ד:כ"ג in which he states that ללין connotes one night's stay whereas ללון implies many nights. In the cases with which our gemara is dealing, it seems to be pretty clear we are talking about just one night. Why would רש"י change the text?